Forecast models have continued to vary run to run and model to model over the last 24 hrs. the overall pattern looks set – nothing very strong and mostly from the behind with S-SE most of the way and possibly SE-ESE for a time. This morning, there is a front to cross TAS and VIC – that will push up the coast as a S change and pass through Sydney later this afternoon with a few showers and possibly a thunderstorm. The band of rain overnight was with a pre-frontal trough. A small cell of high pressure will follow tomorrow and S-SE winds will quickly shift back to the NE. During Monday, a trough will develop off the NSW coast and wind will turn back S-SE, but should not be very strong at all. A front will then move up the NSW coast later Tuesday followed by a high pressure ridge from high pressure over the Bight. The S-SE winds with this front and following ridge will move all the way up the NSW coast – passing Sydney late TUE 02 night. The front looses its identity further north, but the strengthening S-SE winds look to be across all the NSW northern coast by WED 03 afternoon. The next cell of high pressure will probably develop off the NSW coast during THU 04 and the S-SE winds will ease from the south and turn SE-E-NE. The new ridge probably won’t reach SE QLD until later FRI 05, when the S-SE wind will ease and turn SE-E. The 2018 Club Marine Pittwater to Paradise Regatta, commencing Tuesday 2 January, has its share of under-30s sailing talent in its ranks this year. Some are newcomers to sailing and others are seasoned sailors who have hundreds of nautical miles under their collective belts. All of them are primed and ready for the 2018 P2P, motivated by equal parts camaraderie and competitive spirit. Seven yachts in this year’s Race have sailors in their 20s onboard, among them, Dreki Sunnan, formerly Victoire, the Beneteau First 45 bought in mid-2017 by Ken Holmes. With its Norse name meaning ‘Dragon of the South’, Dreki Sunnan will welcome onboard three under-30s, lured to the challenge by Ken’s initiative to support and train the next generation of sailors. Named in honour of Ken’s father’s conviction that the family came from Viking stock, Dreki Sunnan has an enviable pedigree and crew that is half extremely experienced and the other half new to sailing. “The majority of our foredeck crew are undertaking their first season of offshore sailing,” said Ken. “It’s part of the training program we have put together to get young people interested in sailing, and in particular, bluewater racing, and then train them up to a standard where they’re confident to take on the greatest challenge of all, the Sydney Hobart. “We’re hoping to be reasonably competitive,” continues Ken. “The boat can certainly do it, if we can push it and get decent wind behind us. The yacht does well in heavy conditions – 25 knots and above. This year, Ken, an environmental scientist, will complete the race, “enjoy a few beers at SYC” then fly back to Sydney without taking part in Southport Yacht Club's Bartercard Sail Paradise Series. “Regrettably, I have business commitments and have to go back to reality! The crew will take the boat back and I will fly back.” A proud Blues supporter, Ken and crew will be flying the flag for NSW in this year’s inaugural State of Origin Trophy, hoping to contribute points to claiming it for NSW. One of the three young guns onboard Dreki Sunnan is John Lewin, a 26 year-old pilot based in Brisbane, in his first year of sailing and working hard to learn the ropes ahead of the P2P – his first offshore event. “My mum and dad have been involved in sailing and yacht deliveries for many years, and they will be crewing on Dreki Sunnan this year as well,” he explained, adding that it would have been a “family affair” including his brother, Greg as well, but he had prior commitments and could not make it. John’s dad, David, and Ken Holmes have been friends since their Uni days, hence the invitation for the 2018 P2P. John, who will be joined by his two mates, James Rowlinson and Floyd Higgins, also 26, said the idea to compete in a Sydney Hobart came about as all good ideas do, “over a few beers”. Sailing on Farr 45 Pretty Woman, Liam Bennett is a 25 year-old from Mona Vale with more than a decade of sailing experience to his credit, rising through the Youth Program at RPAYC and cutting his teeth on lasers. Oliver Court, 21 years-old from Manly in Sydney, is looking forward to his first P2P on Nine Dragons, which he described as “a real weapon” with more than a strong chance in the Race. Forecast models diverged yesterday in their longer term outlook for the period Jan 2-5. A pre-frontal trough with rain followed by a front with a S-SE wind change will move across NSW later today and tomorrow, SAT 30. High pressure will follow and wind will shift SE-NE during SUN 31. Part of the major trough across inland NSW will shift off the NSW coast on MON 01 and lay off the coast TUE 02 generating a weak S-SE wind flow along the coast. On WED 03, a front will move up the NSW with stronger S-SE winds through THU 04. Weak high pressure on FRI 05 will see those SE wind ease and shift SE-NE on the coast but remain SW-SE well offshore mid Tasman. WIND S/14-18 then SE/10-15 easing further to SE-E/5-10 at night. WEATHER fairly cloudy with a morning shower or 2. Due to mechanical issues Auric’s Quest was unable to join the east coast offshore race, however fortunate enough to compete in home regatta Bartercard Sail Paradise in 2017. Being the vessels first major event, Auric’s Quest competed against a premier fleet to be crowned regatta champion. “I am extremely pleased that this event will be an annual occasion to look forward to. Last year was an opportunity that we unfortunately could not attend, however for 2018 the boat is back on track and the crew are more prepared than ever,” said skipper Fred Bestall. While the main focus for entrants is the series championship crown, the four-day offshore event is also host to the 2018 Queensland Australian Yachting Championships, Australian Measurement System Queensland Championships and Australia Sports Boat Queensland Championships. See release attached for further details. This spring and summer have been far from ‘average’ - whatever average really means! Very dry spring and now a weak La Nina with extremely warm air over inland Australia. We had very few S wind changes move up the NSW coast during November – this morning has seen a few S changes - but true frontal related S changes remain below average and the S wind changes have been associated more with the movement of the heat trough – inland and then coming to the coast. A southerly wind change is expected up along the NSW coast on New Years Day. S-SE winds are expected on TUE 2nd with high pressure back over the Bight and a heat trough over northern NSW and SE QLD. The high pressure is expected to shift east and develop a centre off E coast of TAS during WED 3rd while the trough remains over NE NSW and SE QLD. The situation is slow to change over the following 2 days; the high tracking east over the southern Tasman Sea and the trough system slowly pulling back to inland QLD. Onshore SE-E wind expected to persist along the north coast of NSW and SE coast of QLD across the race period. Forecast models are in quite good agreement, but vary in some of the detail – expected when this far out from the race. WIND S-SSE/16-22 settling SE/15-20 during the day easing to SE/10-15 at night. As per Notice of Race Appendix C.
All boats must carry out a pre-race Satellite phone test between 27th December and 31st December 2017 with the Race Committee. The Race Committee will acknowledge the text by replying with text “Received”. Note the number used MUST be the one listed under Satellite phone in the Boats Entry form and on its Satellite Phone Declaration form. Boats using HF Radio for distress communications must carry out a pre-race radio check between 27th December and 31st December 2017 with“Charleville Radio” (operated by Kordia). All such boats shall carry out their pre‐race Radio check on 4125, 6215, 8291 kHz or 12290 kHz during day light hours. The Owner or Person in Charge shall first make contact with Korida by telephone prior to testing by phoning 02 6279 5774 or 02 6151 6688. A minimum of 3 x 3 strength/readability on two of the radio frequencies must be met for the operator on shift to pass the radio check. Welcome to Henri Lloyd as a supporter of the race! Henri Lloyd will be offering competitors the chance to win a set of Offshore Elite Jacket and Trousers valued at $ 2149.00.
the ELITE Offshore range - the lightest, most breathable Offshore gear ever, without compromise. Designed for Offshore Racers and Cruisers where performance and comfort is a priority. The range is 30% lighter than the best in class predecessors, as well as 20% more breathable and all this without any compromise on durablility and waterproofness of the garments. 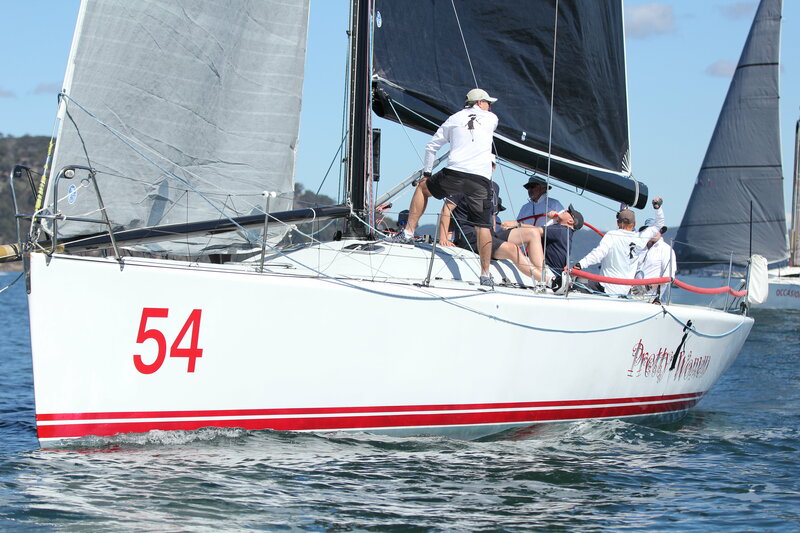 The 2018 Club Marine Pittwater to Paradise Regatta, commencing Tuesday 2 January, is shaping up to be a race of stamina and tactics for the highly competitive fleet; many of which are of very similar size and performance. From the Bay of Islands, NZ, Rp42 Rikki and her crew of 11 including owner and skipper Ray Haslar, sailed from their home base of Keri Keri Yacht Club to Newcastle, a 1,000nm journey ahead of the Race. Ray, who has sailed a few Sydney Hobarts, including aboard Rikki in 2012, and competed in the Sydney to Southport winter race three times, said the voyage was “mostly boring” with barely any wind, until they hit a southerly buster just off Newcastle. The crew has swapped Rikki’s delivery sails to racing wardrobe and will head to Pittwater shortly. “It was a very convenient route for us,” said Ray of the “nice triangle” from Keri Keri to Newcastle, where they cleared Customs, then post-race from Southport Yacht Club Marina, which is now operating as a Customs Clearance Site, back home. Ray is confident Rikki will prove competitive in this year’s P2P, tipping the race record could even be broken by any one of the performance craft in this year’s line-up. With only 19 days remaining to race day some key notes are listed below to make your visit to RPAYC and preparation for the race smooth sailing. A baggage service is available to competitors from RPAYC to SYC. Krank Transport will be setup in the lower carpark at RPAYC on 2 January from 0700-1200hrs. Baggage will be stored at the Southport Yacht Club. All goods become the responsibility of the Southport Yacht Club on arrival and any enquiries for collection or misplaced items should be referred to the Duty Manager via reception. For full details and service form visit the event website here. 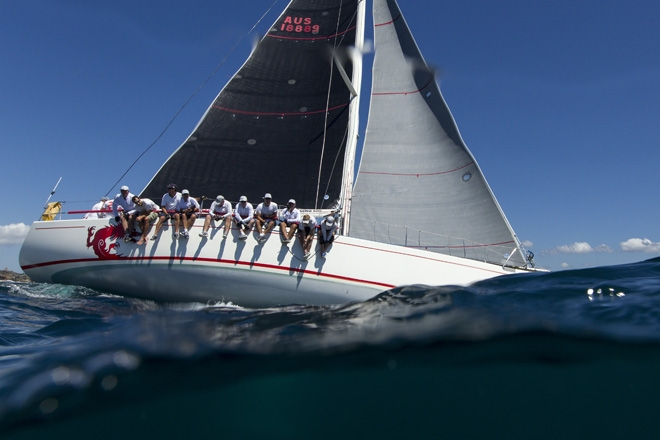 Are you competing in the Sail Paradise Regatta? Start the morning of the race (2 January) off with a crew breakfast at RPAYC including a free bacon and Egg roll for all competitors. Predictwind will be offering competitors the chance to win a 4 x 12 month Professional subscription to their services. Prizes will be awarded at the presentation on Friday 5 January at the Southport Yacht Club, the timing will be notified via sms to competitors. The Royal Prince Alfred Yacht Club welcomes Predictwind continued support of its its premier ocean race. Predictwind are world leaders in wind forecasting providing outstanding forecast accuracy. These forecasts (PWG & PWE) can only be found at PredictWind. The PWG & PWE proprietary PredictWind forecast models regularly perform better than the competition, showing wind weather updates every hour, with a wind speed and direction map for your entire local area. PredictWind also provides what we consider to be the best alternative forecasts for comparison, the #1 rated global ECMWF model & the commonly used GFS. 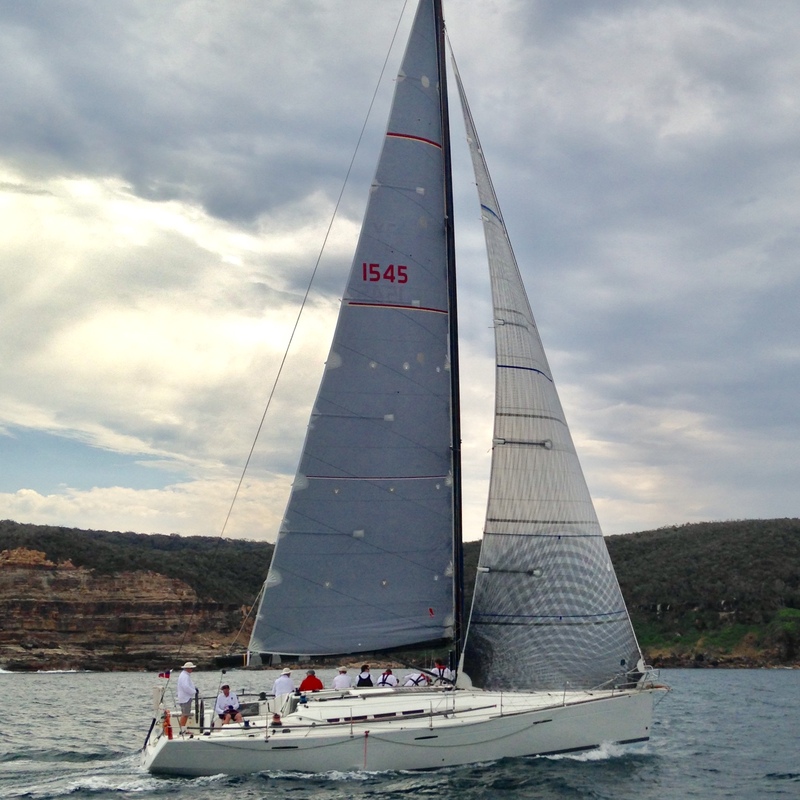 Will you set the Club Marine Pittwater to Paradise Race Record?